Ruggedo, the former Nome King, tries once again to conquer Oz. He secretly enters Oz bringing with him powerful magic in the form of a Munchkin boy names Kiki Aru who has learned the most powerful magic word of all. A word so powerful that even The Wizard of Oz and Glenda do not know it. 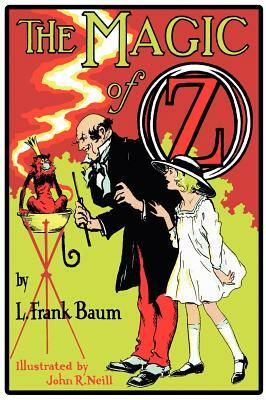 Will Dorothy, Ozma, and their friends learn the secret to this magic word in time to save Oz? This lavishly illustrated edition has more than one hundred illustrations by John R. Neill.